Dove Blasters, LLC is committed to delivering a high level of technology, expertise, customer service, and attention to detail to the market of dove hunting accommodation bookings. We have developed the most sophisticated, yet user friendly hunting reservation & booking system in the outdoor industry to date. A complete overhaul is scheduled for the beginning of October geared just for land owners. Join our mailing list to be notified when this new feature becomes available to the public. Landowners are realizing the value of their property by leasing daily to hunters thus generating significant additional income. Given the demand for quality hunting experiences and the shrinking supply of available hunting land, many land owners are using hunting leases as a low-stress way to profit from their property. If your land is close to a major town and has good birds for hunters, you can get top dollar by leasing to hunters on a daily basis. We handle all the booking and advertising for you. All you have to do is get paid! In the state of Texas, if you own or have the hunting rights to land with lots of dove, that is 10 acres or more and not annexed into the city, you can lease your property and start making SERIOUS DOLLARS! Dove Blasters LLC, will handle ALL the promotion & bookings for your properties. With our one of a kind slot reservation system, hunters can reserve the actual spot on the field they wish to hunt. No more wandering around in the dark hoping not to walk up on another hunter. With this technology, the hunter sees his reserved slot on the map as well as his location. If you have any questions, do not hesitate to call us or use the live chat feature located bottom left of this page. 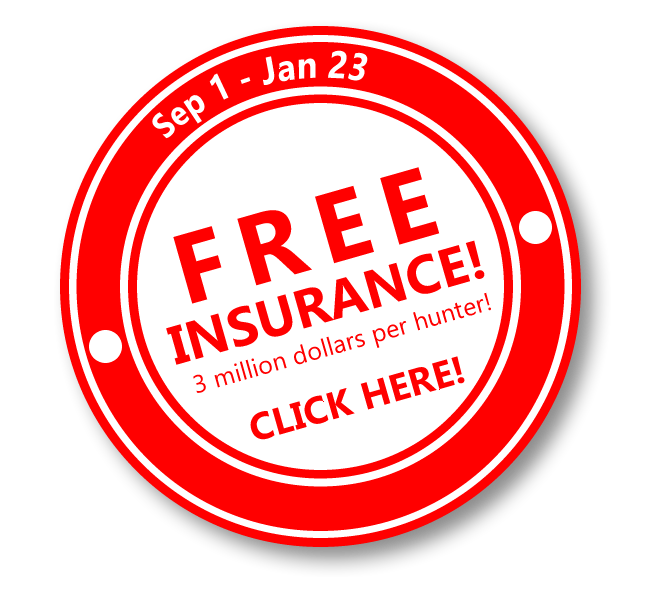 You will be listed as an additional insured through our insurance policy with a 5 million dollars per incident coverage! Significantly Reduce Trespassing & Poaching! If the hunting is good, most unattended properties will get hunted with or without your permission. With our reservations system, you will know exactly who is supposed to be on your property and their location. We also coordinate with the local police and Texas Game Warden which significantly reduces trespassing & poaching leading to the destruction of your crops and overall property. In Texas, you are required by the State to have the appropriate hunting permits for allowing hunters on your properties at a cost. One hunting permit per county is required per property owner. If you have multiple properties in the same county, only 1 permit is required. To obtain your hunting permits, first you must perform a customer search. Click the link below to be directed to the Texas Parks and Wildlife Customer Search page here. If you need assistance, use the live chat feature below and you will be guided through the process. If your city is not listed below, you can contact your local city office and they will direct you to the proper department. Founded in 2009, Dove Blasters revolutionized the hunting industry with our text reservation system in 2012. This technology allowed hunters to make a reservation on a field by simply texting the desired field number to our database. When the field filled up, no more booking were allowed on that field that day. However, this system did not reserve an exact location. It was first come first serve. Well here we are in 2018 and we have perfected that same theory by letting hunters reserve the EXACT location on the field they want to hunt on any specified day. No more wondering where to go opening day in the dark… no more stumbling upon hunters in unknown territory… no more controversy on who has the right of way. With our technology, you know exactly where to go on the property. Think of it as reserving your very own seat in a movie theater. Dove Blasters is the ONLY company using this technology. How do we know? Because we created it!